The 2nd edition of the Indian Mediation Week (IMW) was organised in the form of business mediation summits between the 10th and the 15th of December across four cities—Kolkata, Chennai, Mumbai and Delhi. 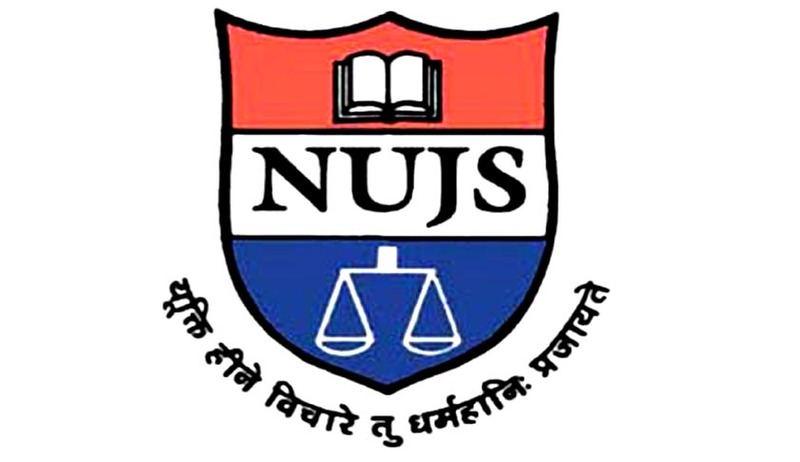 The program was organized by ODRways, in collaboration with National University of Juridical Science, Kolkata (NUJS). The Indian Mediation Week is a pan-India mediation awareness campaign with an aim to sensitize the general public about the benefits of mediation and the advantages of taking the path for mediation over going to court. In the past one year, the campaign is credited to have spread to 102 cities across India with more than 2,000+ volunteers across the country with the conduct of more than 2000 mediation awareness drives have been conducted sensitizing more than 5 lakh people about the process of mediation. The business mediation summits hosted as a part of IMW hosted renowned arbitrators and mediators, officers serving in the civil services, legal practitioners, entrepreneurs and college students (pursuing law or a commerce-based graduate course). It hosted panel discussions on the agendas ‘Ease of Doing Business’ and the ‘Ease of Resolving Disputes’. The highlight of the event was seen to be the ‘Start Smart Awards’ awarded to three winners in each of the four zones (North, South, East and West). This was held in collaboration with the Atal Innovation Mission, NITI Aayog, Government of India. The winners of the award are eligible for funding from Venture Catalysts, Technopreneurs and Nexus Incubators. The Business Mediation Summit conducted in Kolkata on the 10th of December was hosted by the West Bengal National University of Juridical Sciences, Kolkata. The chief guest for the event was Mr. Umesh Choudhary, the MD and CEO of Titagarh Wagons Limited, who is also the recipient of the Chevalier De l’orde National du Merite from the French government. The speakers of the conference included Mr. Abhishek Rungta, CEO, Indus Net Technologies; Meghdut Roy Choudhary, Director, Global Operations, Techno India Group; , Mr. Ravi Ranjan, Founder, Technopreneurs’ Surrogate Ventures; Mrs. Durga Khaitan, Judge, City Civil Court, Kolkata, Secretary of the State Legal Services Authority and former partner, Khaitan and Co.; Prof. Dilip Shah, Dean, Student Affairs, The Bhawanipur Education Society College; Mr. Anil Kariwala; founder and CEO of Kariwala Industries Ltd and Nandini Khaitan; Associate Partner, Khaitan and Co. The Business Mediation Summit was conducted in Chennai on 12th December and was hosted by the Madras Management Association. It was sponsored by J Sagar Associates and Anant Meratia and Associates and received organizational support from the FCDR. The chief guest for the event was Mr. TN Manoharan, Padma Shri and Chairman, Canara Bank. The Guest of Honour for the event was Mr. CK Kumaravelu, Founder-CEO, Naturals Beauty Salon. The summit witnessed speakers including Mr. HrishikeshDatar, Founder and CEO of VakilSearch.com, Mr. Vinod Kumar, Partner, JSA, Mr. Vijayakrishnan, Ms. Pushya Ramanathan, Ms. Uma Ramanathan, Ms. Chitra Narayan, Trustees of FCDR and Mr. N Kannan among others. The Business Mediation Summit held in Mumbai was conducted in the IMC Chamber of Commerce and Industry. The chief guest for the event was Mr. Justice KR Shriram and the Guest of Honour for the event was Dr. Apoorv Ranjan Sharma, President, Venture Catalysts. The speakers for the summit included Namita Shah (Co-founder of Presolv 360), Vinod Keni (Partner at Artha Venture Fund), Shashi Tanna (M.D. at Links Cargo), Tanu Mehta (Co-founder of Association of Mediation Practitioners), Bhaven Shah (Co-founder of Presolv 360) and Parimal Shah (Advocate), among others. The Business Mediation Summit held in Delhi was conducted in the PHD Chamber of Commerce and Industry. The chief guest for the event was Justice ML Mehta and the Guest of Honour for the event was Dr. Unnat Pandit, Head of Operations, Atal Innovation Mission. The speakers for the event were Eric Azulau, Director, Nexus; Gagan Ghai, Business Mentor, Venture Catalysts; Kanishk, Partner, Shardul Amarchand Mangaldas; Sanjeev Ahuja, Director, Ensemble Resolution Professionals; Ravi Singhania, Managing Partner, Singhania and Partners and Kritika Krishnamurthy, Professional Mediator and Partner, AK and Associates. The summits also witnessed the recognition of award winning proposals that furthered the idea of ‘access to justice’.